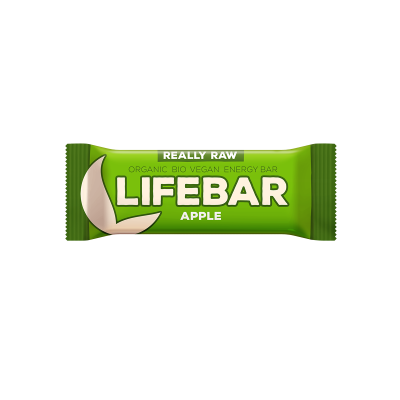 Containing no nuts, this Lifebar is sumptuously juicy and refreshing. Made just from pure ingredients: apples, dates and cinnamon. The germinated sunflower seeds provide enzymes, making it easily digestible. 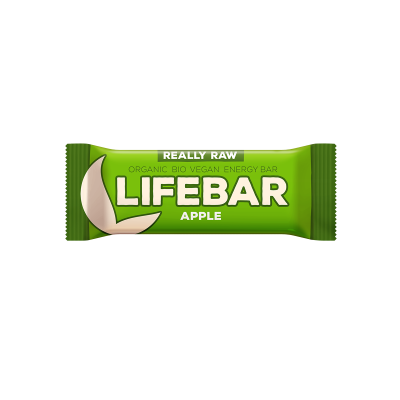 Containing no nuts, the Apple Lifebar energy bar by Lifefood is sumptuously juicy and refreshing. Made just with organic natural ingredients including: apples, dates, raisins, sunflower seeds and cinnamon. Fruits* (71 %; Dates*, Dried Apples* 23 %, Raisins*), Germinated Sunflower Seeds* (27 %), Ground Cinnamon*.